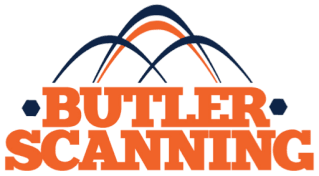 Butler Scanning offers the most complete menu of services in the industry to our customers. We offer GPR structure scanning and X-ray/radiography services to locate conduits, reinforcing bar and post tension cables in concrete prior to coring, sawing or setting of anchors. This service minimizes the risk of costly utility and structural repairs. To eliminate pilot drilling and overhead drilling our transponders can transfer the starting point for holes to be drilled to determine the drill bit exit position in concrete and masonry. By measuring wall and ceiling thickness we provide for easy selection of the proper drill or core bit. Comprehensive detailed reports will be delivered to the customer upon the completion of each job.